We are back with our Weekly Update #14! The past Week was all about the AMAZE Berlin which took place from 9.-11.04.14. 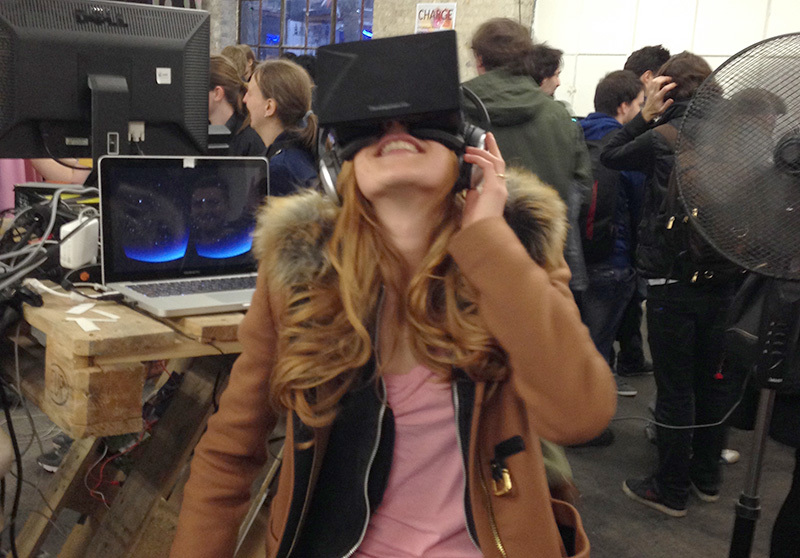 Here’s a little writeup how we experienced the AMAZE and why you should come next year too! Wednesday started with an open evening for everyone. The exhibition area was hosted in the Urban Spree location (like last year) and round about 50 official games where shown. Additionally the Indiearena had a small Piano, yes a Piano, which was reused as the exhibition table for mostly mobile games. Wiebke and i came to hang out and tried some of the more extravagant exhibition pieces like Roflpillar or an installation where you could physically experience a Kite-Glider in the Occulus VR. Speaking of Occulus VR, which plenty of people had setup to experience their games, Wiebke had never tried the Occulus and her second contact with the Occulus ever was the Guillotine-Simulator. I tried SUPER HOT with the Occulus which was pretty cool also. Besides playing a lot of games we met some people we already knew from last year, some new ones and one of my favorite indie-guys Ed Key who made Proteus. Day 1 started with the Keynote held by Henry Smith, who talked about the successes of Space-Team. Followed by a very interesting talk by Pippin Barr about his collaboration with Marina Abramovic who does very intense performance art. He talked a little bit about how games and time interact and how his games try to show that there are games that could literally take 100 years to complete. A panel discussion about games and the future of VR was informative but not very interesting in terms of how the future will be, because nobody of the panelist had a real answer to the question. My personal highlight of the day was Dennis Kogels interview with Jonathan Blow. I have to admit that i’m a huge fan of Jon’s way of thinking about games and his attitude in general. The talk itself was nothing new to me personally, but non the less very impressive how he interacts with other people. The talk part of the day ended with the 5-Minute Talks of some Indiearena members, which was a very nice format to get a cool overview of what the german indie-scene is up to. At 19:30h i had to chicken out due to my headache and had to get some sleep. Day 2 started a little bit late with Major Buenos talk of their experience with their „1 Game a month“ year, where they actually finished 12 games in 2013. 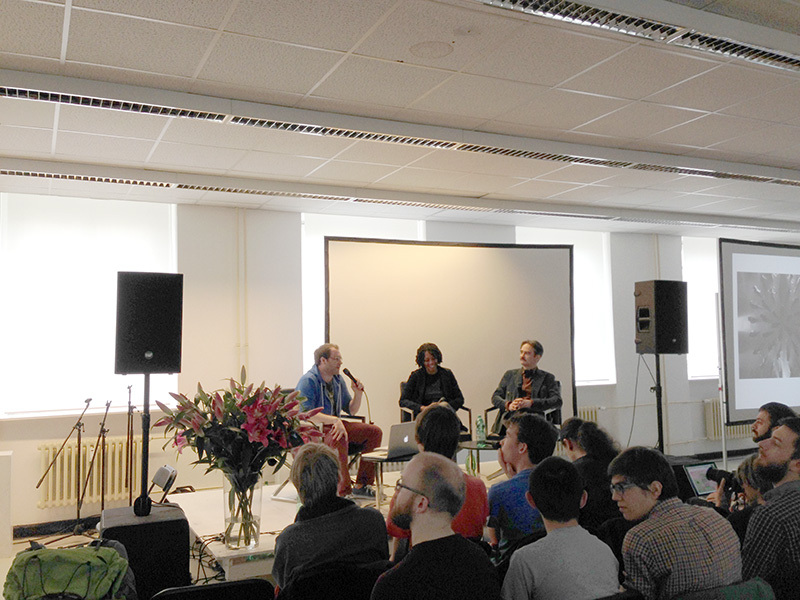 The second highlight of AMAZE was the interview of Tale of Tales which was moderated by Chris Priestman. Tale of Tales for me is the spearhead of avant garde art games and their latest game Luxuria Superbia shows that in many ways. They talked a little bit about their intentions and what message they like to communicate with their games. Two things stood out for me. 2) even though Michaël to me looked like the last person who would enjoy mainstream games, he recommended Battlefield 3 as a game he enjoyed for its entertainment value. Rilla Khaled talked about reflection in games and how too many games are about short term entertainment instead of making the player think and reflect about his actions in a game. The last talk for Friday i listened to was the „Game Criticism Panel“ moderated by Anjin Anhut which was pretty interesting too and gave some insight about how games writer aproach games and why they write about them at all. At 15:30h i switched over to the exhibition and showcased mainly our strategy prototype. Friday evening the AMAZE Awards where given to several games. Leo Schönfelders Perfect Woman took the main price, the Human Human Machine Award went to Nidhogg, Choosatron took the Audience Award and FJORDS the WTF! Award. 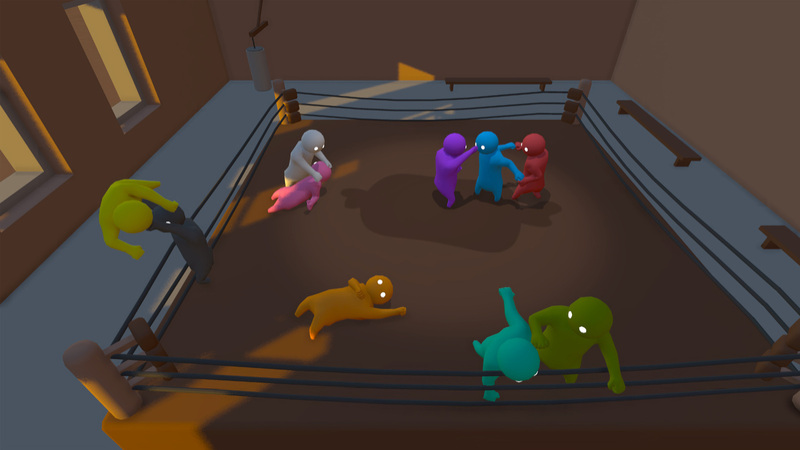 For me personally the best game of AMAZE was Gang Beasts a hilarious 4 player brawling simulator. Our AMAZE 2014 was super interesting/informative/friendly/weird and exhausting. A lot of cool games, even cooler people, super good opportunities to play test our games and present them to real players. The Festival was way better organized than last year. The Talks where a good mix between art and relevant information and had mainly quality content. Additionally there were some very cool workshops which i couldn’t attend at all. AMAZE is one of the most interesting Festivals you can go to in the category of games and the community that has been build around and out of the AMAZE is just fantastic. 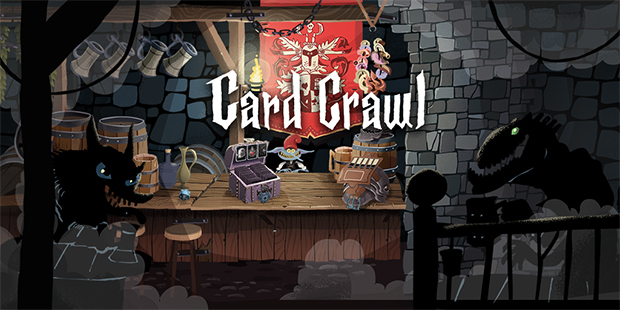 We are highly recommending it to everyone who wants to see what games have to offer besides Call of Duty or Candy Crush. We will be there next year and hope to see you around!